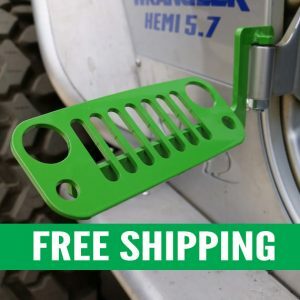 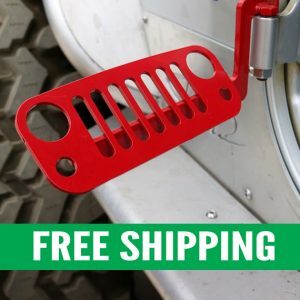 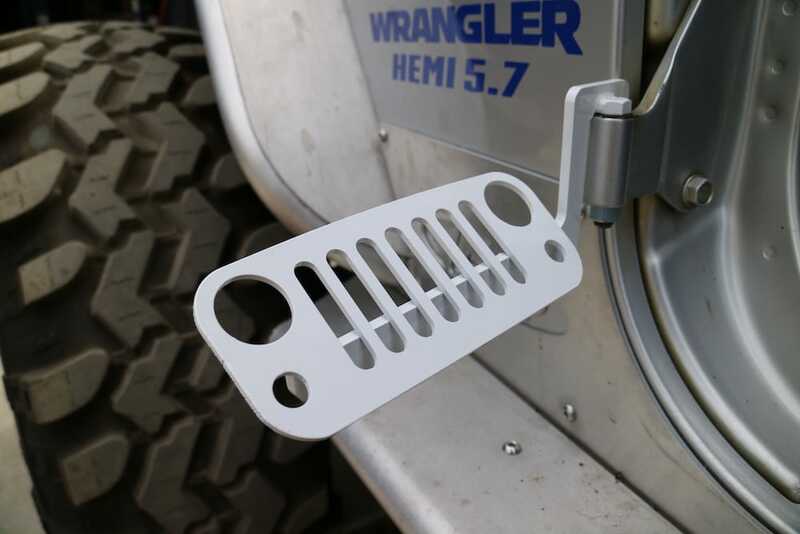 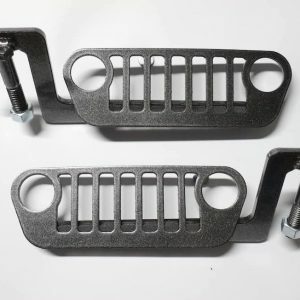 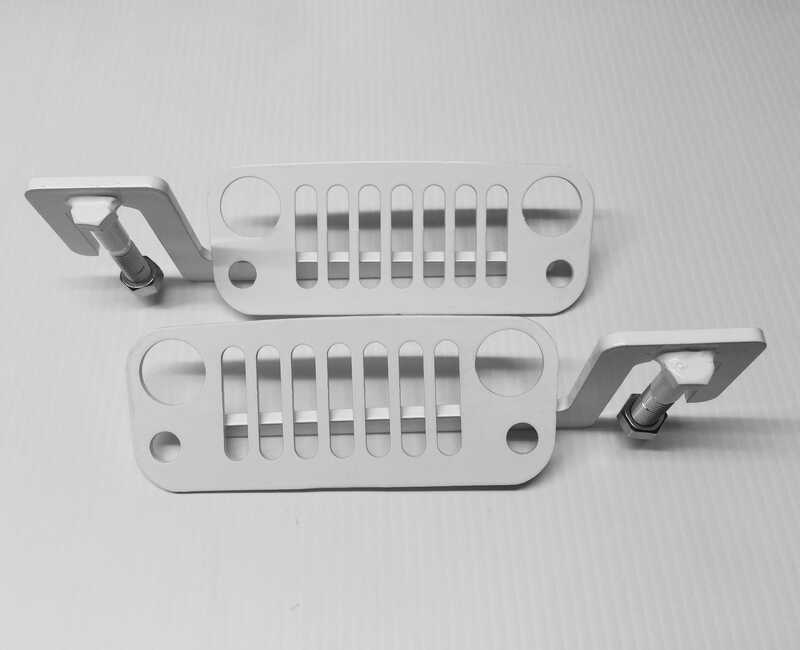 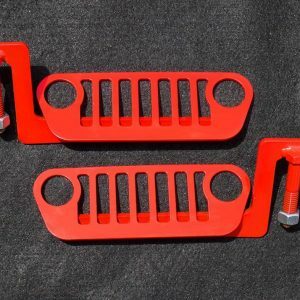 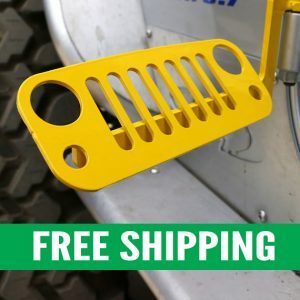 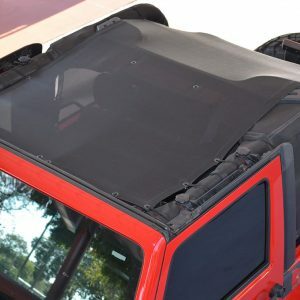 Tired of resting your foot on the door hinge when you take the doors off your Jeep Well, our JK Wrangler Jeep Foot Pegs blue slide into your door hinge and provide a place for your foot to rest. They also have a nut to secure your foot peg so no one can take them when you are away from your Jeep. 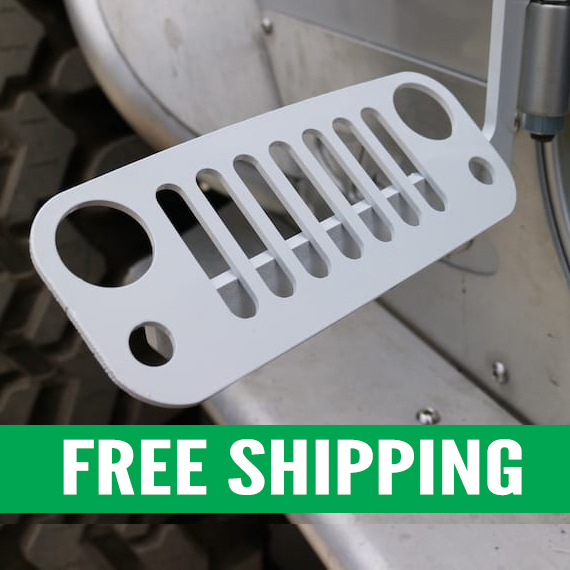 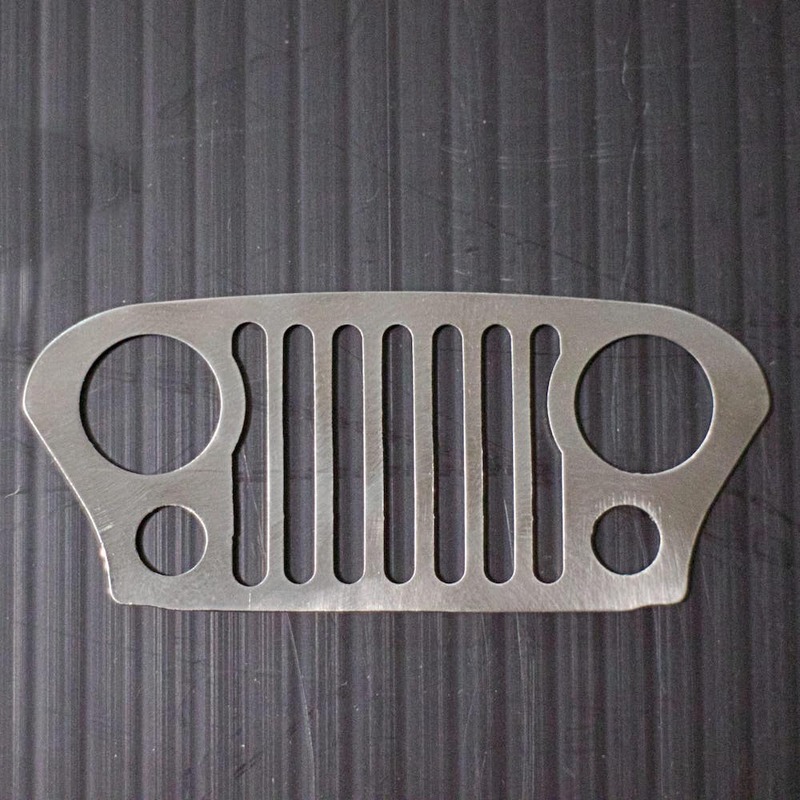 Jeep Grill Foot Pegs are 100% Made in the USA. 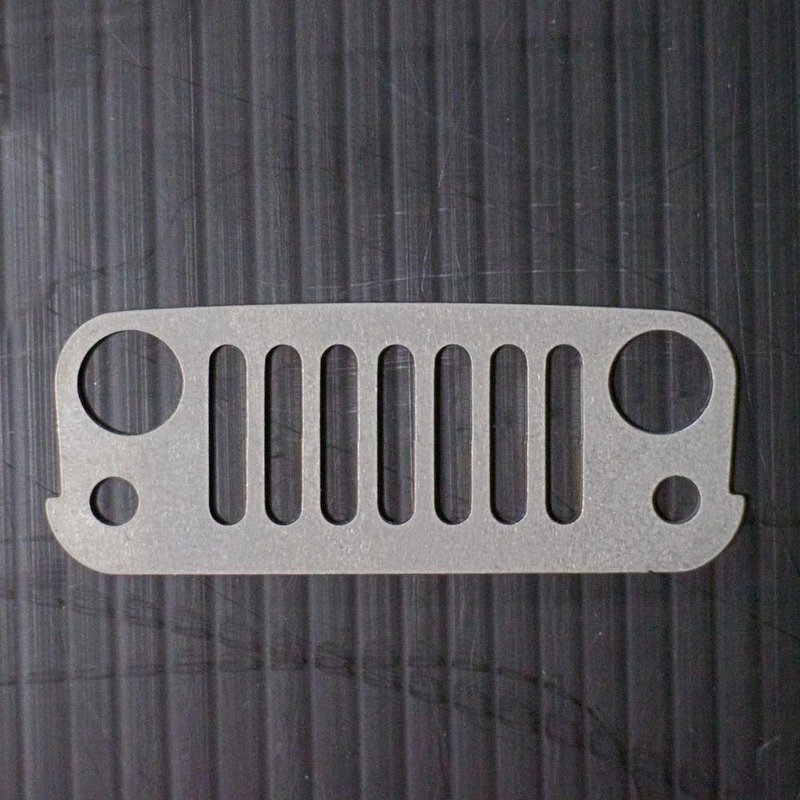 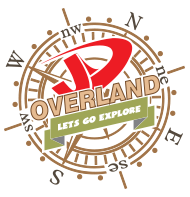 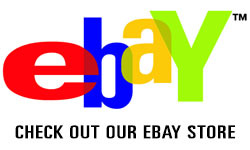 We use local companies here in Orlando, Fl to do all of our Laser Cutting & Welding.